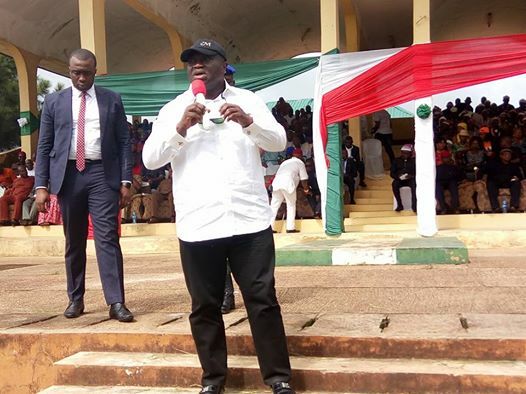 Abia State Governor, Okezie Ikpeazu, has alleged that Mr. Uche Ogah is desperate to become the governor to get immunity against twelve impending criminal charges against him in some courts in Lagos State. Abia State Governor, Okezie Ikpeazu said this while reacting to the issuance of Certificate of Return by the Independent National Electoral Commission to Ogah. “My last duty post was (in) the Abia State Environmental Protection agency and for anybody to say that I have problems with my tax, it will be strange to our people because they know I was working for the government and the government was paying me”.